Harris County Commissioners Court has called a bond election for August 25, 2018, for the Harris County Flood Control District (HCFCD). Registered voters in Harris County will be asked to vote on what could be $2.5 billion in bonds for flood risk reduction projects throughout the county. As part of their process, HCFCD is seeking input from the community via public meetings, and they have dedicated a portion of their website as a resource. 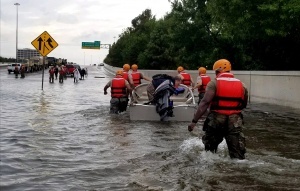 The North Houston Association has formed a flood control task force that this week reviewed the proposed project list, and considered additional comments submitted by NHA members. Once comments are drafted and approved by NHA’s board of directors, staff will submit comments to HCFCD prior to the August 1 deadline. Copyright © 2019 North Houston Association. All rights reserved.